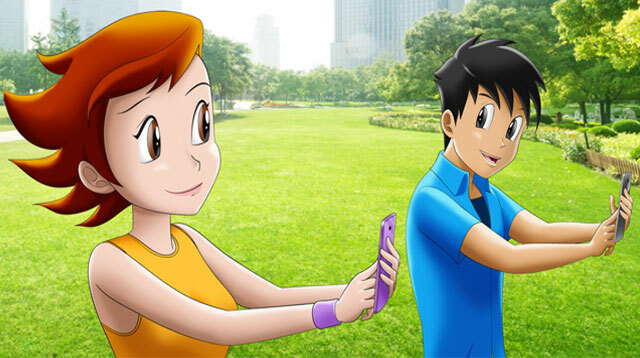 Can you find true love while catching imaginary pocket monsters? Can Pokemon Go, a game powered by augmented reality (AR) technology, help you find true love? Well, Chicago-based dating site Project Fixup is banking on it. On July 20, Project Fixup launched a new service that targets adult Pokemon Go fans who are looking for love. The name of the new service says it all: PokeDates. The Pokemon Go-inspired dating service employs a four-step process in setting up dates. First, you fill out a questionnaire to give Project Fixup's dating specialist an idea of what you seek in a PokeMate. Next, you indicate which times you'd be free to meet up with your PokeDate. After that, you'll get an email with details about your PokeMatch, as well as the time and place of your PokeDate. Finally, you show up at the PokeDate spot where you and your PokeMatch will catch pocket monsters together and, hopefully, connect in other ways, too. The first PokeDate is free, after which each date costs $20 (about PHP941). PokeDates is currently available in the U.S. and Canada only. Pokemon Go hasn't officially been released in the Philippines yet, so we'll see what happens when it's finally launched here.